Scrapbuster alert! Delve into your stash for this one. Whether you empty your best scrap bin or pull out a pack of pre-cuts you’ve been dying to use, this project is the perfect feature for those favorites you couldn’t part with. Luminary is a new take on the traditional lone star, but with a modern improv twist. The color movement from center to tip is spectacular! 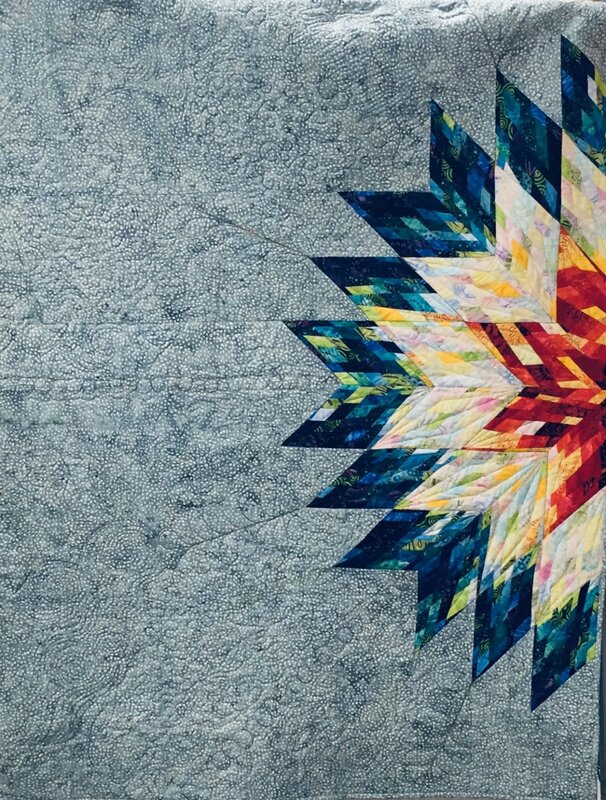 We’ll spend 3 fun-filled evenings mixing colors and remastering blocks to create this stunning starburst. You’ll learn to play with color, value, and hue to achieve the magical kaleidoscope effect that marks this quilt. Come join the fun and be thrilled to discover it’s much easier than it looks!